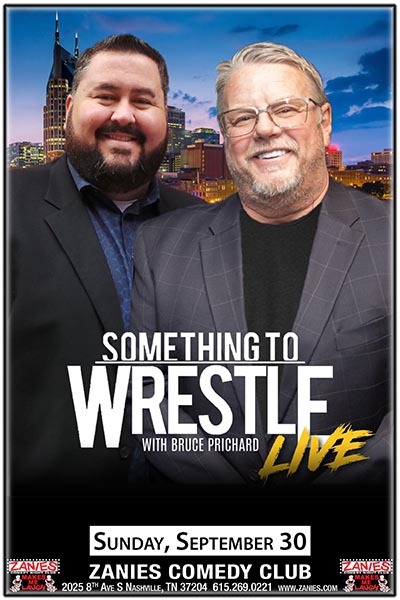 If you've always wanted to know what the real story was behind some of wrestling's biggest moments, Something to Wrestle with Bruce Prichard will finally give you the real answer. A terrific storyteller, Bruce has done and seen it all and now he's going to share it all with you so sit back and be ready for a wild ride! Join Bruce and his partner in crime, Conrad Thompson LIVE at Zanies Nashville!